It probably wouldn’t surprise many people to hear Steve and Lynsey Frangakis’s relationship started off with an act of kindness. They met through mutual friends at a country bar one night, and she drove everyone home. They started dating a couple of years later, just before Lynsey was diagnosed with brain cancer at 23. 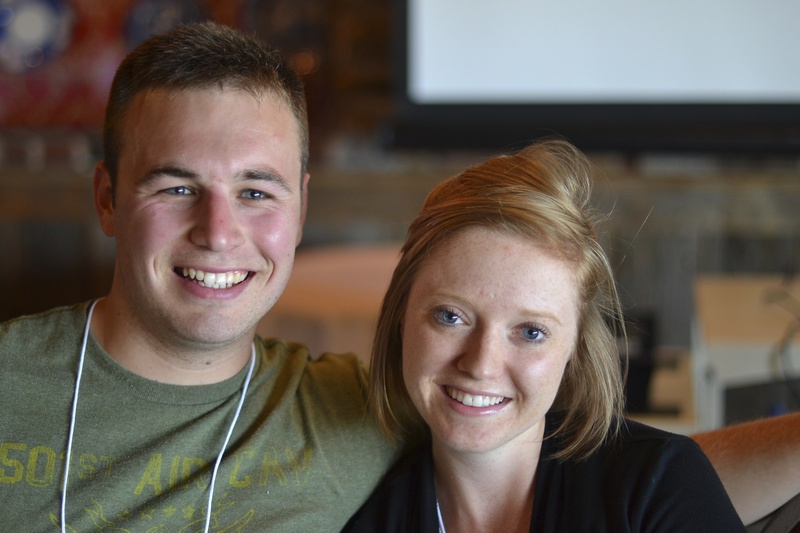 Lynsey and Steve couldn’t help but notice they were outnumbered in hospital waiting rooms and were on the way to starting a young adult cancer initiative of their own when they learned about YACC. They quickly became a part of YACC’s fabric and took part in nearly every program YACC offers including Localife Toronto, Retreat Yourself, Survivor Conference, and the Big Cancer Hook-up, and took part in an additional retreat as peer supporters. Steve says YACC helped them feel relief because they were able to meet other people who were struggling with things they thought they had to deal with alone. “I remember meeting one guy at the conference, and when he talked about not being able to do impromptu things like go over to a buddy’s house or just go out—especially when you’re a lot younger—and people don’t understand why because you’re not sick. It was a relief to hear someone else who has that problem because you spend a lot of time questioning whether you’re being selfish or not,” he said. In addition to her involvement with YACC, Lynsey took her cancer experience to her immediate community. She became an advocate for equal access to oral chemotherapy, she blogged about life with cancer, and she asked people to perform random acts of kindness in celebration of her birthday such as giving blood, donating to a charity, or telling someone how much you care about them. It started in 2013 with “25 for 25,” and kept growing. When Lynsey died in 2018, Steve and her family discussed what they could do to mark her birthday that year. Following her example, they decided to create a fund through the Kitchener Waterloo Community Foundation in support of three charities that impacted her life—YACC, the Ryan Saturno Patient Amenities Fund, and Hospice Wellington. The Firecracker Fund team wishes to thank the family members and friends who were involved in this year’s event, the Ryan Saturno Patient Amenities Fund (They had to move to Toronto for a month while Lynsey had immunotherapy, treatment which is not covered by the government. “The Ryan Saturno Fund covered the rent for the month.”), Hospice Wellington for being there for Lynsey’s last weeks (“The job they do at making it easier for everybody was unbelievable.”), and the Kitchener Waterloo Community Foundation. You can donate to the Firecraker Fund through the Kitchener Waterloo Community Foundation via Canada Helps.